Björk and Abba aren’t the only exports from Iceland and Sweden. As we close out 2008 and head into the chill of winter, I bring you two albums from Nordic territories to chill you even more. Scandinavian countries are putting out contemporary music at a pace that far outstrips their populations. We all know about Björk, and ECM jazzers like Jan Garbarek, but that’s just the tip of the Nordic iceberg. It must have something to do with those frigid long winter nights. Two recent albums explore shades of ambience in music of contemplative moods and expansive themes. Born in 1969 Jóhann Jóhannsson is another one of those Icelandic musicians like Sigur Ros and Hilmar Orn Hilmarrson who are besotted by the contemplative themes of classical composers Arvo Pärt and Henryk Gorecki. Jóhannsson fuses these modes in a more electric setting on his album, Fordlandia. The name Fordlandia isn’t the Icelandic exoticism you might expect. Fordlandia was a failed puritanical utopia that Henry Ford built in Brazil’s Amazon Forest in the 1920s. At the time he composed it, Jóhannsson probably didn’t realize it might now also play as the contemporary soundtrack for a doomed car manufacturer. 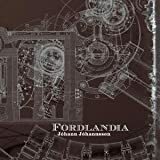 A deeply textural album, Jóhannsson’s Fordlandia mixes dark classical woodwinds, string quartets and orchestras, pipe organ and subtle electronics in a roiling dissonance mixed with waves of surf-like chords that carry you through the ambiences. 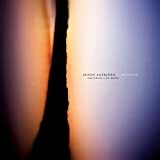 Another Johan, this one Johan Agebjörn, creates a more electronically based ambient chamber music out of Sweden. His album, Mossebo, is named for the house where he recorded the album. There’s even a picture of it with snow-covered eaves. There’s nothing folksy or home-brewed about Agebjörn’s music, however. He often begins with simple sources like the vocal loop on “Dulciter Somni,” and then expands it into an electro-gothic chant. Mossebo emerges out of contemplative states and darker moods but often pushes toward affirmation, like the piano-driven theme of “Shoreline.” Even when he writes a train song, it’s not like American train songs, full of rustic yearning and blues. On “Siberian Train,” his locomotive is on the rails to oblivion. Whatever they’re drinking in Scandinavian countries, I want more of it. Jóhann Jóhannsson and Johan Agebjörn are the sound just beneath the tip of the Nordic Iceberg. WXPN in Philadelphia will be running an audio rendition of this blog, with music, Wednesday, 12/10/08 around 9:30 AM or you can hear it now. This has been an Echo Location, Soundings for New Music. This entry was posted on December 9, 2008 at 5:50 pm and is filed under Reviews & Commentary. You can follow any responses to this entry through the RSS 2.0 feed. You can leave a response, or trackback from your own site.